The USD is lower across the board against majors as geopolitical turmoil at home and abroad, natural disasters and an uncertain fate for rate hikes have left the currency adrift. The US Federal Reserve members remain divided on the pace of rate hikes. Inflation has been low in the United States and is putting no pressure on the central bank to keep raising interest rates. The Bureau of Labor Statistics will release the consumer price index (CPI) on Thursday, September 14 at 8:30 am EDT. Consumer prices account for the majority of inflation with the core reading released at the same time removing the more volatile items: food and energy. Low inflation has been a problem for most major economies, but the Brexit debacle has increased inflationary pressures in the United Kingdom. The Office for National Statistics will release its annual CPI on Tuesday, September 12 at 4:30 am EDT. Later in the week the Bank of England (BoE) will publish its monetary policy summary on Thursday, September 14 at 7:00 am EDT. The British benchmark interest rate is expected to remain unchanged but the minutes and policy member votes will be highlights as the UK economy is losing momentum while Brexit talks are ongoing. US and UK events will dominate the economic calendar this week with the Swiss National Bank libor rate announcement on Thursday, September 14 at 3:30 am EDT another big highlight. The approach of Hurricane Irma to the United States will also have energy traders on alert as well as Saturday’s celebration of North Korea’s Foundation Day . 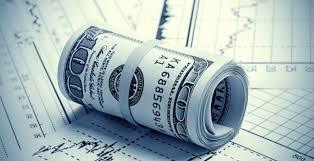 The EUR/USD rose 1.238 percent in the last week. The single currency is trading at 1.2046 after breaking above 1.20 with the release of the European Central Bank (ECB) monetary policy statement and press conference with President Mario Draghi puts a tapering announcement firmly on the October agenda. There were few US economic indicator releases and the geopolitical and natural storms took a toll on the dollar. There was some relief as the second round of NAFTA and the debt ceiling were pushed back for later and the Trump administration is pushing hard for tax reforms. The situation in North Korea will continue to trigger a flight to safety benefiting the EUR. Dovish Fed members earlier in the week suggested the central bank slow down its rate hiking pace. The U.S. Federal Reserve is expected to announce the timeline for its balance sheet reduction in its September 20 meeting, leaving some room if it wants to hike in December (which could be Fed Chair Janet Yellen’s last major decision as her term ends in February). The lack of clear candidate to replace Yellen is another strike on the Trump Administration. Economics adviser Gary Cohn was a strong candidate until falling out with Trump over the official response to Charlottesville. West Texas Intermediate rose 0.607 percent in the last five days. US crude is trading at 47.44 as Texan refineries are coming back online albeit slowly. Hurricane Harvey had a big impact on refineries creating a glut of crude but a shorter supply of gasoline. That situation is getting better, but with Hurricane Irma threatening oil platforms in the Gulf the situation could be reversed going into the weekend. Despite the recovery of prices during the week oil posted a drop on Friday as the tropical storm is headed towards Florida which could affect demand for energy. Oil rig counts continue to be unaffected and added to the US crude stocks report there is ample supply of crude, also pushing down prices. Rumours out of China for lower demand and new estimates on how fast Texan refineries could be out has also limited the recovery of oil prices. Gold rose 1.711 in the past five days. The yellow metal is trading at $1346.99, its highest price in twelve months. Geopolitical turmoil in particular regarding the situation with North Korea and the problems within the White House to put together a strong tax reform, debt ceiling and NAFTA renegotiation while at the same time responding to another approaching Hurricane have forced investors to look for safe havens. The USD is struggling to regain momentum and with the Fed facing concerns about a third rate hike, the precious metal has advanced. The release of US inflation indicators could do more damage to the probabilities of a December rate hike than to the price of gold as an inflation hedge.